(3) pass the Commission Standard Competence Test. To maintain certification, you must attend the full seller training course every two years. There is no way to “test out” of the class, and there is not a different, shorter re-certification class. The Texas Alcoholic Beverage Commission (TABC) is responsible for the control over the importation, distribution, sale, and consumption of alcoholic beverages, which applies to all retailers, suppliers, and wholesalers who are licensed to manufacture, sell, serve, transport, or store liquor in the State of Texas. Train licensees, managers, and servers/sellers to implement RBS policies and procedures effectively. Server/seller training focuses on serving and selling procedures, recognizing signs of intoxication, methods for checking age identification, and techniques for intervening with intoxicated patrons. Manager training includes server/seller training, policy and procedures development, and staff supervision. RBS programs typically have distinct training curricula for on- and off-sale establishments because of the differing characteristics of these retail environments. All RBS programs focus on preventing sale and furnishing to minors. Responsible beverage service training can be mandatory or voluntary. 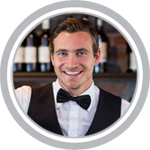 A program is considered mandatory if state provisions require at least one specified category of individual (e.g., servers/sellers, managers, or licensees) to attend training. States may have either mandatory programs, voluntary programs, or both. For example, a state may make training for new licenses mandatory while also offering voluntary programs for existing licensees. Alternatively, a state may have a basic mandatory program while also offering a more intensive voluntary program that provides additional benefits for licensees choosing to participate in both. The employer does not directly or indirectly encourage the employee to violate the law. Section 106.14 of the Texas Alcoholic Beverage Code says that in the case of: "…sales, service, dispensing or deliver of an alcoholic beverage to an intoxicated person or a minor, action of an employee shall not be attributable to the employer if:"
1. The employer requires its employees to attend an approved seller-training program. 2. The employee has actually attended and passed an approved program. 3. The employer has not directly or indirectly encouraged the employee to violate such law.